This freestanding luminaire from 1947 exemplifies Wiener Werkbund criteria. By threading the saber-shaped stand through the lamp shade, designers J.T. Kalmar and A. Pšll melded form as well as function - the stand allows the lamp shade to be positioned at three different, reader-friendly heights. The hardwood stand and handle may be left in a natural state with a protective oil or wax coating. 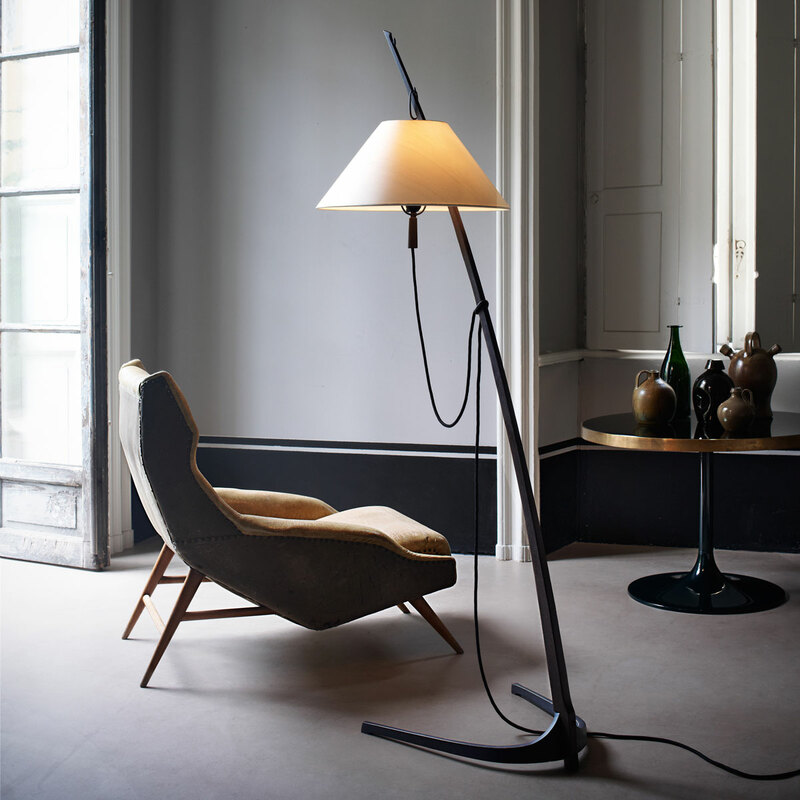 The base reflects the lightness of the floor lamp as a whole; all metal parts are finished in black bronze.